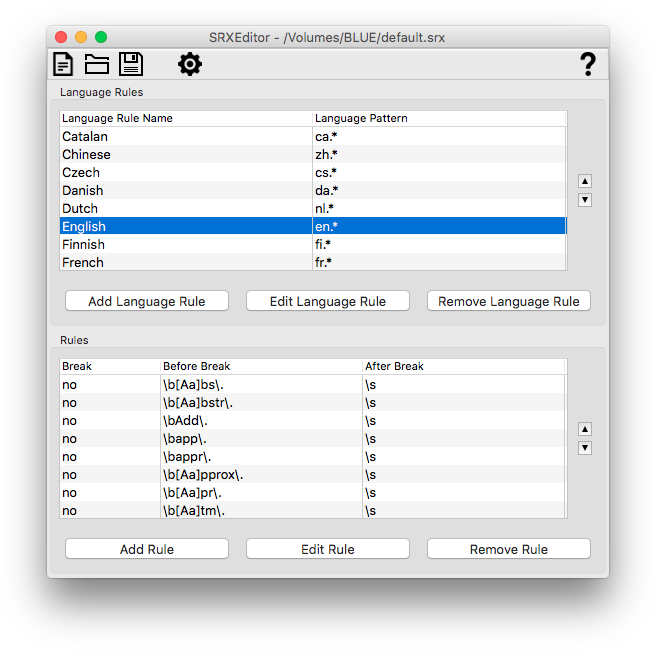 SRXEditor is a free cross-platform editor of segmentation rules, designed to use Segmentation Rules eXchange (SRX) 2.0, the open XML-based standard published by LISA. You can use SRXEditor to create new SRX files and edit existing ones. It also can be used for testing segmentation rules to ensure that they break text as expected. SRXEditor is included in Stingray and Swordfish III installers.